I am in search for an updated land use layer for KZN. Search around for the EGIS on the DEA website. Login is free, they just take a day or 3 to vet your request. They have various LC data sets up to 2013/2014 or 2014/2015 depend on what you read. I have been hearing rumours of a 2017/2018 set but have not found that yet. Served as GeoTIFF covering the whole RSA. There is a SANBI 2008 KZN land cover layer, might be a bit old. Provides a nice legend too. "This e-mail and any files transmitted with it may contain information which is confidential, private or privilege in nature and it is for the sole use of the recipient to whom it is addressed. If you are not the intended recipient, you must immediately notify the sender via electronic mail and further refrain from reading, disseminating, distributing, copying or using this message or any of its transmitted files. Any views of this message and its transmitted files are those of the sender unless the sender specifically states such views to be those of the North-West Provincial Government. Though this message and its transmitted files have been swept for the presence of computer viruses, the North-West Provincial Government accepts no liability whatsoever for any loss, damage or expenses resulting directly or indirectly from the use or access of this message or any of its transmitted files." Thanks so much for the feedback Immo. 2008 is a bit old im afraid. Yeah it was mainly land use, as apposed to land cover. Thanks for responding. However, there does not seem to be any downloadable data, only in PDF format. 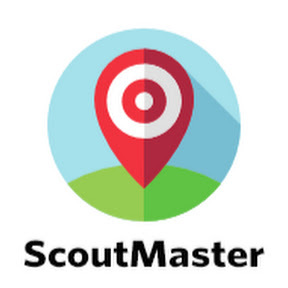 ScoutMaster is a Web Mapping and Land use Survey application integrating mapping, data visualisation and project collaboration for land use survey teams in South Africa. This e-mail is intended solely for the person to whom it is addressed and may contain confidential or privileged information. If you have received it in error please notify us immediately by return e-mail or by telephone +27 (0)82 467 5110 and delete the e-mail. You may not copy, distribute, disclose or take any action in reliance on it. While we take reasonable precautions to minimise the risk of an attachment containing computer viruses this possibility still exists. We cannot accept liability for any damage which you may sustain as a result of a software virus. We recommend that you carry out your own virus checks before opening an attachment. We do not accept responsibility for any amendments made to any attached documents without our approval. We do not accept responsibility for private or personal messages e-mailed from our domain. Click ok and then drag and drop the EdDists layer into your QGIS project. I'd love to connect. Here's my calendar link to make finding time easy. Thanks so much for this, I will convey to Willem, you are so helpfull. ScoutMaster is a Web Mapping and Land use Survey application integrating mapping, data visualisation and project collaboration for land use survey teams in South Africa. ScoutMaster offers productivity tools for teams doing land use surveys in the Republic of South Africa. Our company created that website so please contact me on my work email address [hidden email] so that we can supply the boundaries you need.